"The good of football, the bad of football, I've seen all of it." You'd expect such a statement from a player who had played for 11 different clubs in three different countries, but how many players have done that at the age of 23? Meet Jake Jervis, one of Plymouth Argyle's five summer signings, who is preparing for a campaign in League Two having played in Turkey, Scotland and all three tiers of the Football League. "It's made me a better player to have played in different leagues and different places," he tells BBC Sport as he settles into the final week of pre-season at his new club. Jervis began his career as a promising youngster at Birmingham City - he once played against Didier Drogba, David Luiz and Frank Lampard as the Championship club held Chelsea to a 1-1 draw at Stamford Bridge in the FA Cup in 2012. After three years of trying to make the Blues first team, he left St Andrew's in January 2013 for Turkey, where he signed a three-and-a-half-year contract with top-flight side Elazigspor. But it was a move that did not go according to plan. Jervis said: "Teams like Fenerbahce and Galatasaray have a crazy atmosphere and it was definitely something that helped me in terms of my football. "But after three games, having started so well, I broke my foot." The Turkish club stopped paying Jervis, but when he tried to leave they held on to his registration and he could not join another club until January 2014, a period of six months where he was not able to play the game he loves. "It was the most difficult thing I've had in my life," he says. "I was at Sheffield United and I was going to sign there, and I trained with a few other teams as well, but I couldn't get it through because of international clearance due to the old club. "I was a handful to be around with my girlfriend and my family because I wasn't happy at all not being able to play football." 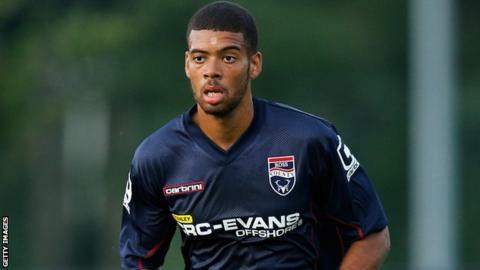 It was eventually sorted out and Jervis signed a six-month deal at Portsmouth, before moving to Ross County that summer, where he linked up with current Argyle boss Derek Adams for the first time. "He's 23 and he's only at the start of his career, but he's had a lot of experience," Adams told BBC Sport. "We're hopeful of progressing him. He did very well for me at my last club and, although I was only there for a short space of time with him, you could see the potential." Jervis signed a one-year deal at Plymouth in June, so is now the time to try and settle with one club? "You always look to do that," he said. "But it's got to be right and you've got to be able to enjoy it. Hopefully we can settle here and go on and do well."